When George Green decided to open a funeral home in Homestead Park, Munhall, back in 1941, he chose an area that was rich in ethnic diversity and religious identity. Many of the people in Homestead Park came to America at the turn of the century from Europe to work in the steel mills that spread expansively along the Monongahela River below the community. They came with a belief that they could find the American dream of prosperity and freedom while maintaining their own cultural heritage, which they so proudly cherished. Throughout the decades, since their arrival in America, these ethnic groups have recreated their culture within the community. They formed churches to carry on their religious tradition and founded social organizations to maintain the heritage of the Old World. Part of this cultural diversity is the way in which these varied ethnic groups bury their loved ones. For 50 years the George Irvin Green Funeral Home Inc. has been serving the funeral needs of these ethnic groups within the community. They have directed funerals with all the religious affiliations in the area. The year 1941 is a memorable one in American history. Just four short months after the opening of the George Irvin Green Funeral Home Inc, our country entered World War II. George Green left in 1943 to serve in the Navy as a Pharmacist Mate. While serving in the military, the funeral home was managed by his parents, George A. and Sarah Mathieson Green, and his sister, Rosabell Mehaffey. 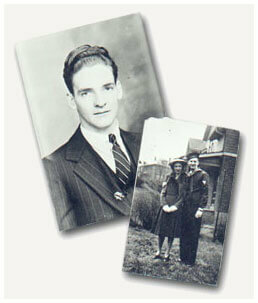 George returned to the funeral home upon his military discharge following the war in 1945. As the community of Munhall grew following the war, the Green Funeral Home also needed to expand. Additions were made to the home in 1951 and again in 1966. The 1966 enlargement made the home self-contained with a casket and vault selection room that enabled families to take care of all the arrangements easily and completely at one meeting, something very important at a time of grief. In 1987, a wheelchair ramp was added making the home more accessible for our disabled visitors. For over half a century we at the George Irvin Green Funeral Home Inc. in Homestead Park, Munhall, Pennsylvania have been bringing comfort and peace of mind to families. During our years of service to the community, the families of Homestead Park have called upon us to carry out their funeral needs. They have always found us to be compassionate, understanding and professional. Throughout the years this pledge to community service has continued and in February of 1987, the Green Funeral Home received a citation from the Pennsylvania House of Representatives commending 45 years of outstanding services to the community. Green Funeral Home of Munhall PA, is celebrating a landmark year as a member of the International Order of the Golden Rule (OGR), a professional association of independently owned and operated funeral homes. 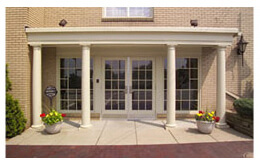 Green Funeral Home was accepted into the prestigious funeral home organization in 1959. As independently owned firms, Golden Rule funeral homes must meet and maintain a strict code of conduct and high ethical standards. Founded in 1928, OGR is affiliated with independent funeral homes throughout North America and overseas that share common goals of exemplary service, uncompromising care and compassion to families in their time of need. For more information, go to www.ogr.org. “Service measured not by gold, but by the Golden Rule” has been the credo of the association since its founding in 1928.